Eastern State Penitentiary is the first prison in the world designed to inspire penitence (true regret) in the hearts criminals. Inmates were to spend their time reflecting upon their crimes and seeking redemption. 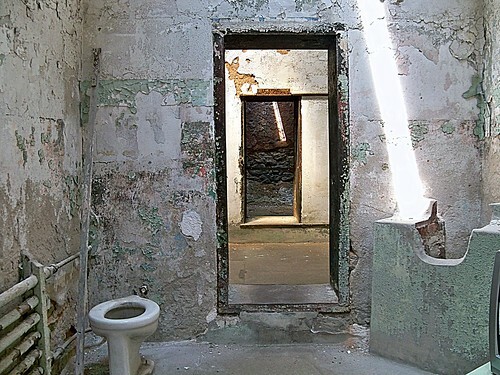 At Eastern State Penitentiary, each cell was lit by a single light source from either a skylight or a window that was considered the “Eye of God”. 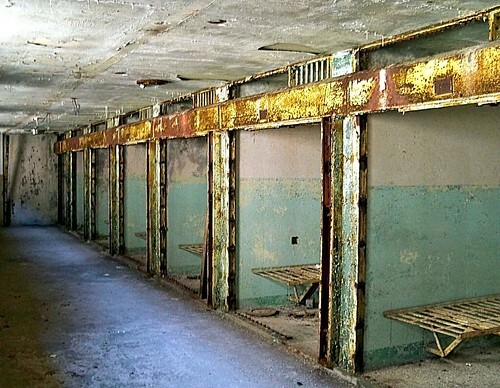 This is Cellblock 15, or “Death Row”, where men waited out the last months of their lives at Eastern State Penitentiary, before being transferred to Pennsylvania’s only death chamber at the State Correctional Institution at Rockview. 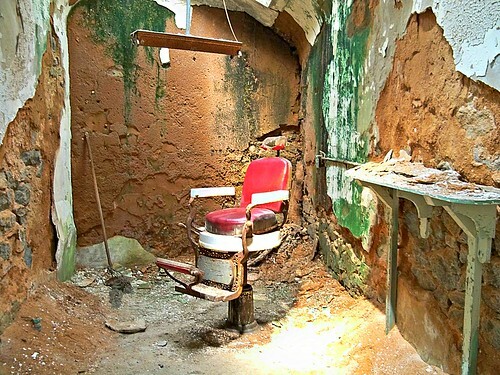 This cellblock has been inhabited by some of Pennsylvania’s most violent, aggressive criminals, who lived here in physical isolation from each other and the prison staff. This is THE MAD CHAIR. It was given this name because it was not uncommon for an inmate to go mad before his punishment ended. As seen on Ghost Adventurers….